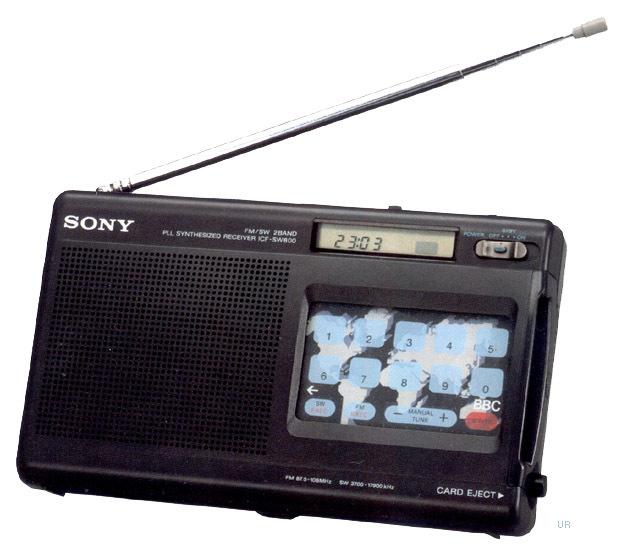 The Sony ICF-SW800 is a digital portable FM and shortwave receiver. Shortwave coverage is: 3700-17900 kHz with 5 kHz display resolution. 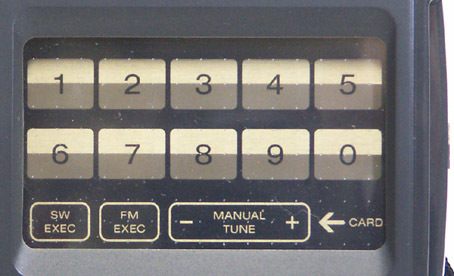 This radio features a unique Card-Tuning system. It automatically tunes a particular station upon inserting of a tuning card and touching the station name printed on the card. 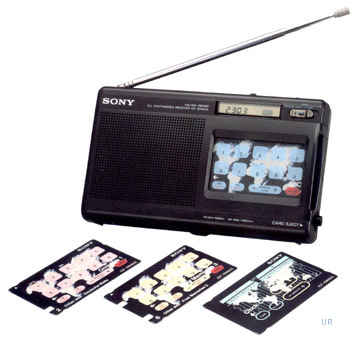 Three pre-programmed cards with pre-set frequencies of up to 60 worldwide stations are included. When no card is inserted, conventional keypad frequency entry is available. User programmable cards allow you to add or change any station presets and give you five-way easy tuning options. Other enhancements include: digital display, clock timer, direct frequency entry and digital clock with timer functions. Operates from three AA cells (not supplied). Supplied accessories include: earphone, 3 preset tuning cards, clock card, AN-61 wind-up compact antenna, earphone and Sony Wave Frequency List. 7.5 x 4.6 x 2 inches 1.5 lbs. (189x116x45 mm 540 g). Please note that this radio does not receive the AM medium wave band. 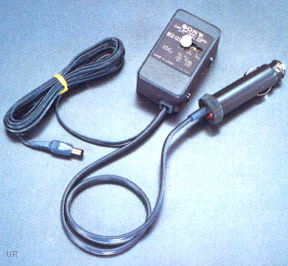 The similar model ICF-SW700 distributed in Japan, has the AM band, but no FM band.